The Chicago Blackhawks' experiences with the Stanley Cup -- Patrick Kane stuck on a ladder in Buffalo, Jonathan Toews having a Manitoba lake named after him, Duncan Keith and the trophy in front of the picturesque backdrop of Penticton, B.C. -- seem like distant memories. It's been two straight seasons of losing in the first round, of failing to live up to expectations, of overtime heartache since Kane knew before the rest of the world that the puck went in and the Blackhawks were Stanley Cup champions. Yet here they are again ready to enter a season with high expectations and Cup aspirations -- only now the pressure to win may be at a heightened level because of the recent disappointments. "We know expectations to win are high and getting back to being a champion is the ultimate goal," coach Joel Quenneville told NHL.com. "We're all looking forward to winning and we all know the ramifications if we don't. We welcome that challenge and let's go." Quenneville doesn't have to state the ramifications because they are obvious: Success means status quo, maybe even more Cup days like the ones they had in the summer of 2010; failure means change is likely coming. The Blackhawks have a good shot at keeping the status quo, but their goaltending will have to hold up, their young players will need to contribute, and their special teams must improve. Chicago was 26th on the power play (15.2 percent) and 27th on the penalty kill (78.1 percent). That the Hawks still managed 101 points, 10th most in the NHL, leaves Quenneville to wonder what could have been if they were just a couple of percentage points better in both areas. A higher seed in the playoffs? Home-ice advantage? "Our special teams obviously have to be way better," the coach said. "Whether it's tendencies, personnel, blocking shots, the group has to take more pride and we have to be more consistent both from the back end and the group we use up front. Finding a niche for that whole group is something we want to key on right off the bat to getting back to being a top-10 or top-five team." Part of the problem on the power play was the Hawks didn't really have a net-front presence. Quenneville said 6-foot-6 forward Jimmy Hayes will get a chance to audition for that job. Part of the problem on the penalty kill was the Hawks' structure allowed too many scoring chances, and their goaltending wasn't good enough to steal the show. Chicago gave up 47 goals in 4-on-5 situations; only the Dallas Stars gave up more (48) among the 15 Western Conference teams. Corey Crawford and Ray Emery will likely be back as the 1-2 duo and Quenneville said he has no reservations about that -- but both absolutely have to be more consistent than they were last season. Crawford and Emery combined to give up 2.82 goals per game, 22nd in the NHL. Of the 16 teams that made the playoffs, only the Ottawa Senators allowed more goals. Crawford won 30 games but had a 2.72 goals-against average and .903 save percentage. Emery won 15 games and posted a 2.81 GAA and .900 save percentage. Neither recorded a shutout. 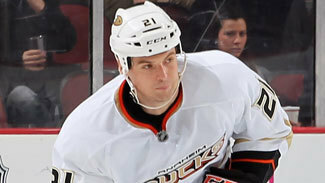 "I go back two years ago when Corey had an outstanding rookie year and just got better as the games got more important. I thought he had a tremendous year (in 2010-11)," Quenneville said. "All the top goalies their first year they establish themselves and they look like they're going to be top goalies, but expectations are different, their role is different, and they're getting used to being the No. 1 guy. It's different. I would expect him to get back to being that top goalie again. And Ray did a great job in his role. If he does that again we'll be very happy with him." Blackhawks general manager Stan Bowman clearly thinks the team he had in place at the end of last season is good enough because he has made only one minor tweak to the roster this summer, signing depth defenseman Sheldon Brookbank. The hope is that Marian Hossa, whose season ended in Game 3 of the first round against the Phoenix Coyotes when a Raffi Torres illegal hit left him concussed, can return healthy and still be a point-per-game player. Hossa has resumed training and Quenneville said he expects him to be ready to go by training camp. Despite some offseason turmoil, Quenneville is also banking on a big season from Kane, whose numbers have dropped in the past two seasons to a career-low 66 points last season. He put up 88 points in 2009-10. "Our power play struggled and we need him to be a key factor in that area," Quenneville said. "When he gets productive, he gets hot and he goes on some great streaks." By avoiding temptation this summer, Bowman is putting faith in some of the Blackhawks young players, including Hayes, Dylan Olsen, Ben Smith, Andrew Shaw, Brandon Bollig and 19-year-old left wing Brandon Saad, who is expected to challenge for a top-six forward spot. Saad was the Hawks' second-round pick in 2011 and is coming off a 76-point season in the Ontario Hockey League. "When young guys come in they challenge guys and it keeps everybody fresh. 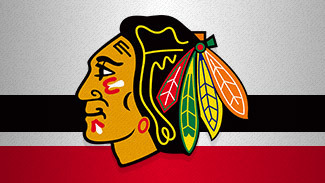 I think it'll be healthy for our team," Quenneville said. "The last couple of years, certainly with not winning in the playoffs, creates a different appetite for our team going forward. We all feel we've got something out there to prove and it should be a good challenge for all of us."